I am not predicting an outcome of Narendra Modi’s 2019 election march. This is not the job of a professional journalist. This is for the people to decide. They have their own likes and dislikes and whims and fancies. Barring some exceptional cases, there is no uniform standard in the way the people think and act. This is the beauty of our vibrant democracy. Even Atal Bihari Vajpayee’s ‘India shining’ poll campaign did not click, despite his good performance as PM. 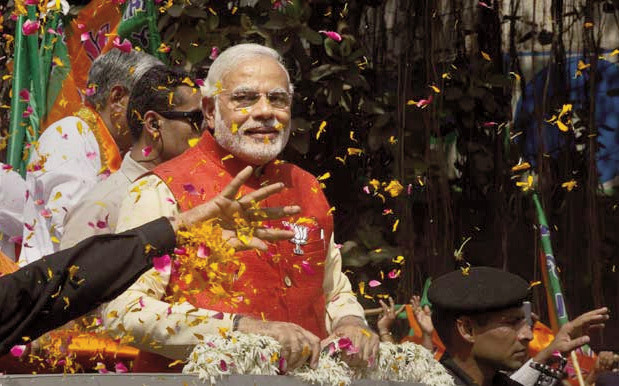 The day Narendra Modi's BJP painted the nation saffron Will BJP leader Narendra Modi’s magical feat of the May 2014 poll get repeated in the seven-phase election of 2019? I cannot be so sure, since Prime Minister Modi is already under the spell of the Law of Diminishing Return in view of certain gaps in his credibility, notwithstanding the fact that his popularity graph in the post-Balakot air strike is on the high side vis-a-vis other leaders. The strength of PM Modi is his powerful rhetoric at public rallies. He speaks convincingly, even though the tone of his speech might not reflect ground realities. In a diverse polity like India, ground realities keep changing after a cluster of 30 to 35 districts. So, the nature of P M Modi’s promises has to change as plans of actions thereto. Small wonder that the level of poverty and development varies from State to State. My simple point is: In PM Modi’s Gujaratcentric model of development, the whole country’s dreams and realities do not fit in. 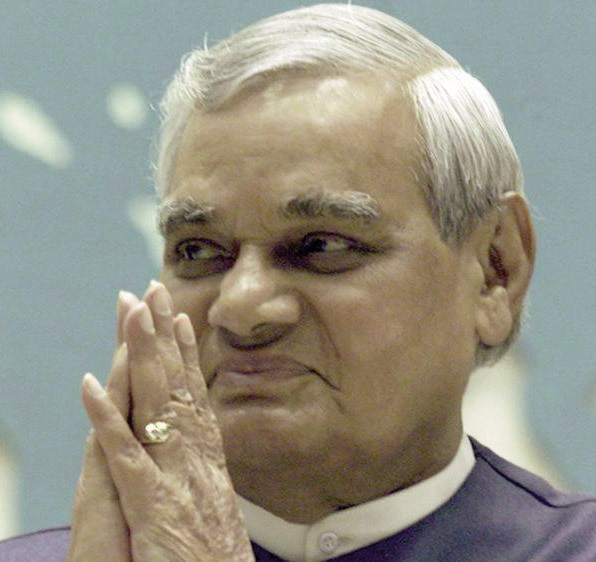 Atal Bihari Vajpayee I am not predicting an outcome of Narendra Modi’s 2019 election march. This is not the job of a professional journalist. This is for the people to decide. They have their own likes and dislikes and whims and fancies. Barring some exceptional cases, there is no uniform standard in the way the people think and act. This is the beauty of our vibrant democracy. Even Atal Bihari Vajpayee’s ‘India shining’ poll campaign did not click, despite his good performance as PM. Even the dynasty, ideological, stability and personality labels may or may not click. Herein lies the importance of coalition regimes in a diverse country like ours. What matters most in India’s complex poll mathematics is the spirit of India that derives its strength from people’s varied local and regional ground realities. I do not wish to get into the poll arithmetic. This job be better left to the pollsters. I would confine myself to the existing ground realities and leave emotional matters to the electorate. Here, I cannot be sure whether the glass of people’s security concerns is half full or half empty as 90 crore voters get set for elections from April 11 to May 19, including 1.5 crore first time voters who might hold the key to the final verdict on May 23. My first area of concern is visible signs of rural unrest which we saw even on the streets of state capitals, New Delhi included. Rural voters seem to be an unhappy lot on the Modi government’s overall performance on the agricultural and employment fronts. 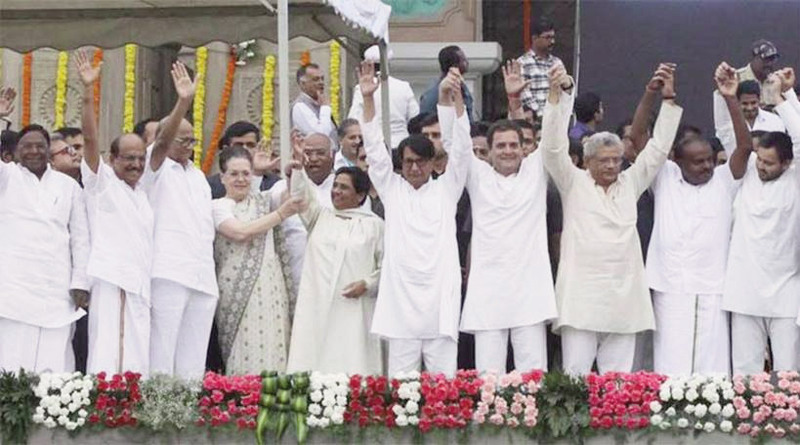 Mahagathbandhan of opposition parties? I also wish to leave aside respective strength of the BJP-led National Democratic Alliance, the Congress-controlled UPA, the yetto-emerge Third Front and the proposed Mahagathbandhan of certain opposition parties. My first priority is to focus on varied issues which are uppermost in the minds of people across the country. Of course, P M Modi has announced a number of grand schemes to mitigate problems of the rural sector. 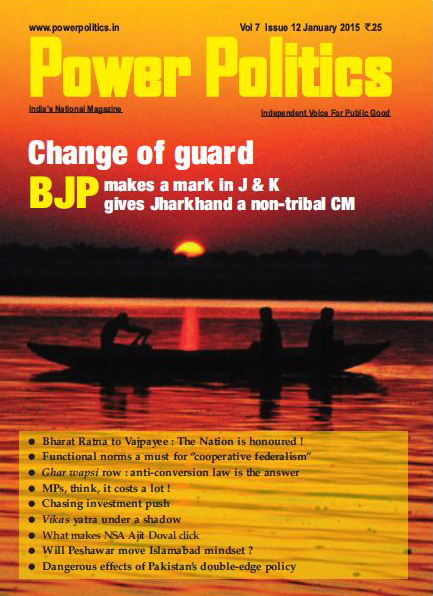 But, pre-poll makeshift rural plans are unlikely to work on the ground since the rural distress is multidimensional. These require long-term solutions – something beyond the comprehension of the present regime. Even demonetization showed P M Modi’s lack of “home work” on rural ground realities. I have brought the Bharat unrest issue to the fore since the hopes of rural voters played a major role behind the 2004 poll success of Narendra Modi. The second key issue is dismal employment growth. P M Modi had promised generation of 2 crore jobs annually. The Modi establishment, of course, has its own data on the job front, which, according to some critics, are “doctored”. However, the very fact that young Indians had come out openly on the streets of Delhi, cannot be taken lightly. We know how lakhs and lakhs of jobs were lost in the informal sector following P M Modi’s supposedly master stroke of demonetization. This was a flop show as was the dream concept of ‘Make-in-India’ because of gaps in domestic and foreign investments. The facts in these areas speak louder than official claims. The NSSO job report, which the government has so far not released, reportedly suggests that 3.2 crore casual labourers lost their jobs in rural India between 2011-12 and 2017-18. The actual size of India’s male workforce, too, has shrunk. A shrinking workforce suggests the rise in the numbers of unemployed and also points to fewer job opportunities. This has indeed been the tragedy of India’s development story. 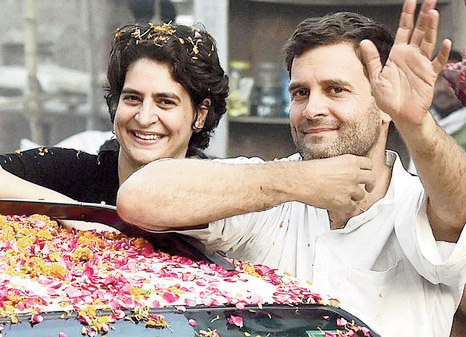 Jyotiraditya Scindia and Sachin Pilot Priyanka Gandhi and Rahul Gandhi Equally crucial are the promised deposit of Rs 15 lakh in every account from the flow of foreign black money, the working of populist welfare schemes, inflation, the changing mindset of young voters etc. 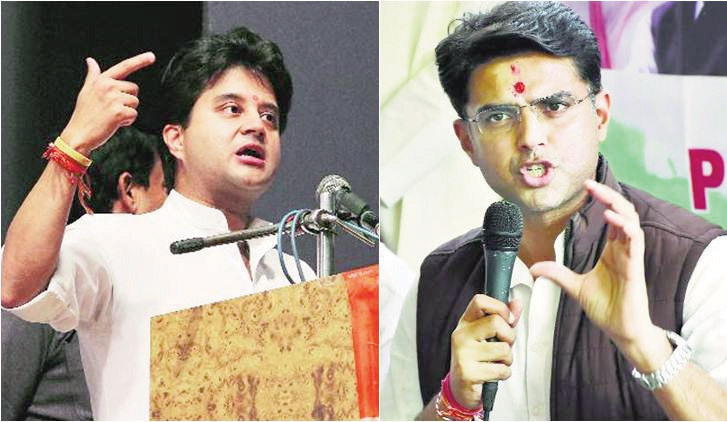 These issues might show P M Modi’s vulnerability vis-à-vis the Congress’s young leaders like Sachin Pilot, Jyotiraditya Scindia, Priyanka Gandhi and Rahul Gandhi. They might be lacking the requisite experience and maturity. All the same, their assertive presence in the Congress cannot be overlooked. A potentially versatile leader should be able to remould himself. He should know all his plus and minus points. This requires proper feedback from the ground, delinked from the sycophancy culture. This is applicable to P M Modi as well as to all Opposition leaders, if they are serious about the people’s development. The real challenge before the leadership today is: How to revive the basic faith of people in the nation’s destiny? India has a composite culture. All its elements have to be strengthened at the grassroots. There are, of course, several unknown factors which could cut across the political divide. A lot will depend on exploitation of varied issues by the Opposition leaders, the Congress included. Mayawati and Akhilesh Yadav Regrettably, Rahul Gandhi is not well focused on people’s issues which could sway the voters in his favour. His hammering on the Rafale deal could prove to be counterproductive in view of the party’s own shaky track record on various past defence agreements. For the present, P M Modi’s old campaign on Congress-Mukt-Bharat has not clicked as its recent success in the three Assembly elections shows. We also need to watch the effectiveness of Akhilesh Yadav’s SP and Mayawati’s BSP, especially Mulayam Singh Yadav has distanced himself from his son in UP. For that matter, the BJP’s concept of Nationalism as a vehicle of anti-colonial politics has failed to stop Hindu-Muslim antagonism. Internal “contradictions and conflicts” have not taken Nationalism to the dizzy height the BJP had hoped for. Here I go by the Nationalism version of Annie Besant who portrays it as something that originated in India’s ancient past and “flowed in an unbroken continuum into modern times” The BJP leadership, however, has to view Mordern India as an allinclusive communities giving beyond Hinduism. 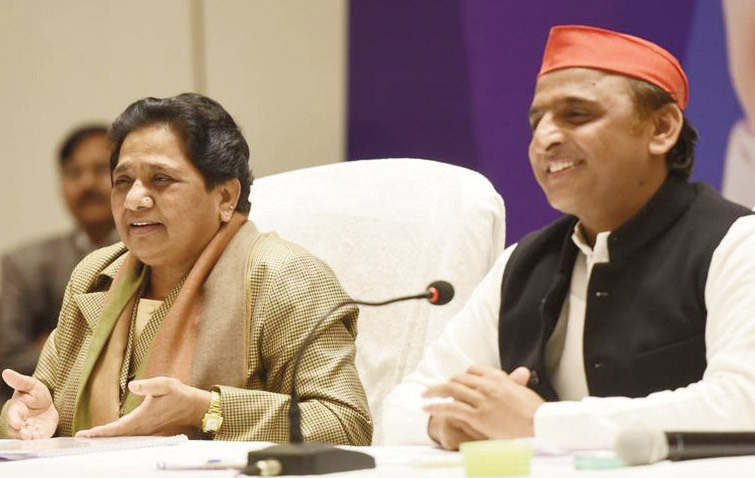 Mayawati and Akhilesh Yadav A country of India’s size requires constant monitoring of ground realities. It cannot be guided or governed with the help of convenient mindsets of advisers. 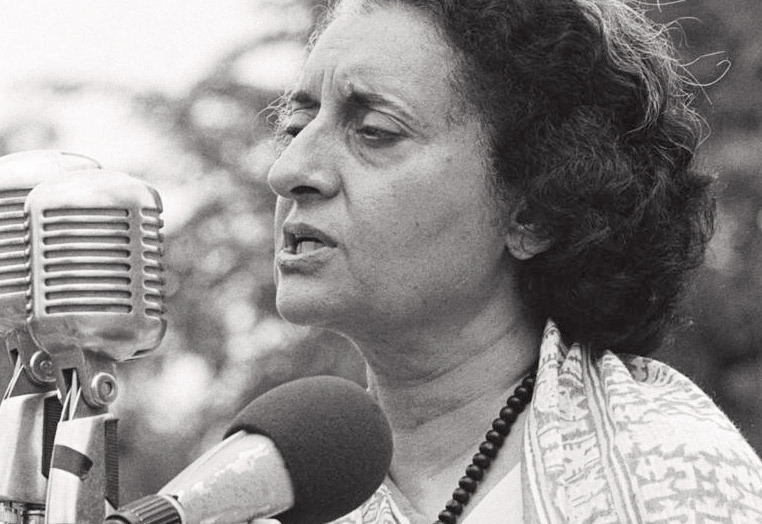 Narendra Modi may recall that Indira Gandhi’s tragedy was she made tall promises without caring for follow-up action. She overlooked the fact that mere populist policies and programmes could win her votes, but could not banish poverty. In the absence of follow-up actions all her populist high-sounding slogans failed to alleviate the people’s miseries. Strengthening of the cultural bonds apart, India has to be a land of opportunities. In this context, I must reiterate that the ushering of economic swaraj can help the people of all shades and opinions to revive the faith in the nation’s destiny. There are, of course, loose ends everywhere. Politicians exploit the innocent masses. Businessmen and traders exploit consumers by selling substandard commodities. Bureaucrats exploit the system without caring for the susceptibilities of the poor and the have-nots. The guardians of the law tilt towards the rich and the mighty. All these issues can be resolved by comprehensively reforming the system and rearranging national priorities of development, such as, drinking water for villages, halting deforestation ruthlessly, vigorous drive to check the “baby boom”, improving the quality of education, generating new employment opportunities by giving a boost to rural cottage, small industries and creating rural and urban infrastructure in key areas of the economy. This is just an illustrative list. The stress has to be on critical areas of social and economic activities, and less on rhetoric and false promises. Herein lies opportunities for Narendra Modi and Opposition leaders to Think Big and Act Big.